The Board of Management is responsible for the governance of Glasgow Kelvin College. The strategic direction of the College is set by the Board which is responsible for all College policy. 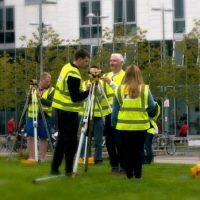 It conforms to legal responsibilities as defined by the Further and Higher Education (Scotland) Act 1992 and is an Assigned College of the Glasgow Colleges’ Regional Board. The Board of Management has 18 members, including two staff representatives elected by the academic and support staff respectively, and two student representatives and the College Principal. Members of the Board serve on a voluntary basis, without remuneration, take an active interest in the work of the College and attend various college events. The Board normally meets five times a year and observers are welcome. Papers relating to the Board of Management are published on this website after meetings. Ian took up post of Chair of the Board of Management on 1 August 2018. Previously a Board Member at John Wheatley College he has been a Board Member of Glasgow Kelvin College since its formation in November 2013. During this time he has Chaired the Human Resources Committee, the Audit and Risk Committee and since August 2016 has been Vice Chair of the Board. Ian, a graduate of both the University of Glasgow and the University of Stirling brings over 30 years of experience of working in FE/HE to the Board. He started his career as a Maths teacher and then moved to Bell College in Hamilton as a Computing Lecturer, spending his subsequent career entirely in FE/HE. Within Bell College he held positions of Senior Lecturer in Computing, Director of Quality and finally, in the run up to the merger of Bell College and the University of Paisley to form the University of the West of Scotland (UWS), Acting Vice-Principal. After the formation of UWS he was Campus Director of the Hamilton Campus and until his retirement in 2014, Director of College Partnerships. Ian played a significant corporate role within the University as Chair of the University’s Collaborative Forum, its Student Disciplinary Committee and as Vice-Chair of its Student Experience Group. 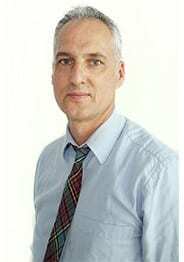 With this considerable experience of both Education and Governance, Ian hopes to lead the Board in its role of constructively challenging and supporting the Senior Management of the College in its work of providing appropriate educational opportunities to the communities of North and East Glasgow. Originally from Wishaw but having lived in the nearby small village of Bonkle for 30 years, Ian is married with two grown-up children both of whom are Chartered Accountants. His main hobby is Bridge which he plays competitively in national competitions within Scotland. He also enjoys keeping fit, travelling and supporting Motherwell FC. Elizabeth Robertson brings a wealth of experience to the Board from her involvement over the years in the areas of partnership working and employability. Elizabeth has played a role in some of the most successful examples of partnership working within the Inverclyde region and, in May 2017, had the privilege of being elected as a Councillor for the Inverclyde area. Elizabeth is now her party’s deputy council group leader. Her areas of specialism include Partnership Working, Community Planning and Policy Development. Elizabeth is also a foster carer and has a passion for ensuring the voices and opinions of young people are listened to, heard and acted upon. Having lived most of her life in Inverclyde with some periods of time spent in Glasgow and Hull, Elizabeth’s career started in the voluntary sector in the field of employability before moving to work in what was then a Social Inclusion Partnership, at the time when there was a transition to Community Planning Partnerships. After 5 years she moved across to Local Authority “proper” and since then has spent periods working in Education and with Inverclyde Council’s Chief Executive. Until her election as a Councillor in May 2017 Elizabeth was the Education Development Officer for Health & Wellbeing within Inverclyde Council. Elizabeth’s aim is for the Board to ensure that learners truly are at the centre of every decision made, and policy developed, in Glasgow Kelvin College. "Learner at the Centre" is a phrase that is well used in the sector at this time and Elizabeth looks forward to contributing to make it an absolute reality. Elizabeth particularly relishes the opportunity to spend time with her family, supporting her children in their enviable social lives and range of interests. She also enjoys theatre and literature as well as public speaking and debating. Elizabeth is an active member of a number of community and voluntary sector groups and enjoys the relaxation of Board membership. She fondly remembers representing her school on Blockbusters, the iconic quiz show hosted by the legendary Bob Holness when she was 17, as do people in her home town who still sing the theme tune whenever she passes them in the street. 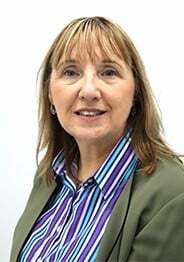 Marion Allison is currently the Head of the Community Learning and Development (CLD) Standards Council for Scotland, the professional body for people working and volunteering in youth work, adult learning and community development. She leads the organisation across all business areas including the registration of professional practitioners, approval of CLD academic courses in the college and university sectors, professional learning and the overall strategic direction of the organisation. She works with a wide range of professionals from the public, voluntary and private sectors with partnership programmes across the United Kingdom and beyond. Marion brings over 20 years’ experience of working within CLD and Education and is a Member of the Institute of Directors and a Board Trustee at Impact Arts. 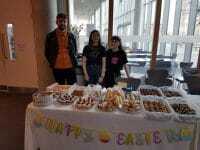 After graduating with an Honours Degree in Commerce from Glasgow Caledonian University, Marion undertook post-graduate study in Community Education at the University of Strathclyde. She was worked all over Glasgow in various youth work roles before moving to South Lanarkshire Council where she managed two large youth centres. Most recently Marion completed her doctoral study into young people, enterprise and social capital at the University of Stirling. She hopes that her contributions to the Board will support new opportunities for the college, its students and surrounding communities. Marion lives in South Lanarkshire with her teenage son. She is a football fan and her main hobbies are travelling, keeping fit and spending time with family and friends. Alan Sherry became Principal of Glasgow Kelvin College on Vesting Day for the new College on 1 November 2013. He had been Principal Designate since June 2013 coordinating the final phase of the merger process. Previously he was Principal at John Wheatley College, located in East Glasgow. Alan was an original member of staff when that College was established in 1989, the only new FE college opened by the former Strathclyde Regional Council. Alan has been involved actively in a range of national widening participation initiatives over a number of years and has recently stepped down from the Scottish Funding Council Access and Inclusion Committee having served his second and final term. Alan represents Glasgow Colleges on the Executive Officers Group of the Glasgow Community Planning Partnership. Furthermore, he is a member of the North East Glasgow Community Planning Partnership Sector Board. He is also a member of the Glasgow Community Learning and Development Strategic Partnership. In addition Alan is a board member of a number of community based organisations in North East Glasgow. He is chair of the Colleges Partnership and is a board member of Eurashe a European association for colleges. Alan started his career in education with Strathclyde Regional Council in community education before joining the former Central College of Commerce. He then moved to John Wheatley College in August 1989. 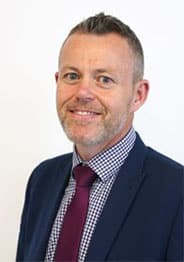 In addition he has worked at the former Motherwell College in a senior management role, as an educational consultant and with Her Majesty’s Inspectorate of Education as an Assistant Inspector. He was an Associate Assessor with HMIe for over 10 years. Originally from Glasgow, Alan has an academic grounding in environmental, development and business disciplines complemented by 28 years of professional involvement in the fields of physical & economic regeneration and town planning. Alan has worked for local authorities, public bodies and consultancy practices throughout Scotland. 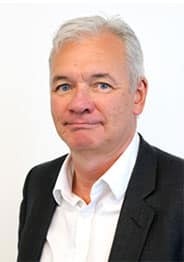 In his work with the Board, Alan’s aim is to ensure well-trained, innovative and supported staff complementing an ambitious and driven management team whose combined activities result in sector-leading learner achievement across a multiplicity of outcomes. 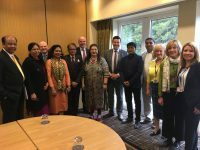 As someone with a keen interest in facilitating opportunity and the advancement of learners’ own goals through educational and life skills training, Alan’s role on the Board will allow him to contribute to setting the strategic direction and provision of introductory and advanced learning in an area of Glasgow with considerable economic and social needs. Born in Glasgow, Rob developed a career in organisational development, education, learning technologies and contract, programme and project management. In his current role he specialises in relationship management, educational technology and software, programme and contract management, training and product embedding. Rob brings a wide range of experience in the public and private sector and knowledge of technology, education and service development to Board activities. In his spare time, Rob enjoys karate, reading and going to the gym. He is a former Lieutenant Colonel in the army reserves with thirty years’ service and operational experience. 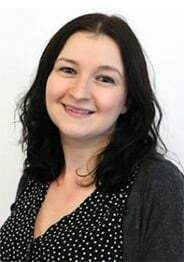 Born and educated in Glasgow, Laura Birch gained a BA Honours Degree in Accountancy at Glasgow Caledonian University and is an Associate Member of the Chartered Institute of Management Accountants. She joined Scottish Enterprise in 2008 where she currently works as a Senior Commercial Manager. Her role at Scottish Enterprise involves bringing her strong financial and commercial business experience to a number of industry sectors which enables her to bring a different perspective to the Education Sector, particularly from a strategic and governance perspective. As a member of Scottish Government’s pool of Gateway Reviewers, she provides independent assurance to Accountable Officers, Senior Responsible Owners and Ministers in the delivery of major public sector projects and programmes. As a member of the Board of Management, Laura feels she has benefited from an excellent education system and aims to give something back and support others in terms of developing the young work force and giving them skills which lead to employment and ultimately increase economic impact in Scotland. In her spare time, Laura has a keen interest in fitness. She enjoys travel and outdoor pursuits, including hiking, cycling, white water rafting and kayaking. Born in Azad Kashmir, Mohammed Razaq travelled to UK with family at the age of 10 in 1964. He started working life in Glasgow within the family retail business in 1971. He entered further education as a mature student and graduated in 1997 with BA in Business Administration (Majoring in Computing) from the University of Paisley. Subsequently he gained a Post Graduate Diploma in Equality and Discrimination from the University of Strathclyde. After graduating he decided to move to a type of work that would help the less fortunate in society and to satisfy this need in 1997 joined the West of Scotland Community Relations Council (CRC), now West Scotland Regional Equality Council, as a volunteer. After various paid roles he was appointed as Executive Director in 2003 where he still is employed. In 2003 he was also successfully elected as councillor for Glasgow’s Maryhill ward and was re-elected in 2007 and 2012 to represent the ward of Maryhill & Kelvin and apart from chairing a number of Council Committees has also the honor of being appointed a Bailie for the city. 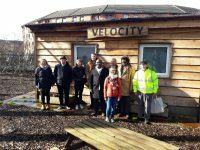 Mohammed Razaq recently retired after serving 20 years as a Board member with Queens Cross Housing Association due to his passion for social housing and improving local communities. Mohammed Razaq is also qualified interpreter; badminton instructor and ‘early touches’ football coach. He is a keen charity fund raiser, has climbed Ben Nevis 6 times and has in the past cycled across Kingdom of Jordan, walked the Great Wall of China and more recently trekked Mount Kilimanjaro to raise funds for charitable causes. He regularly takes part in playing badminton and five-a-side football. Bryan Ross was born in Invergordon. He graduated from the University of Aberdeen with an MA Honours Degree in History and Management Studies and developed his career working in the service industry, with Glasgow City Council and at Stow College. He currently holds the post of Administrative Officer at Glasgow Kelvin College and hopes the skills he has developed and the experience he has gained throughout his career will enable him to make a meaningfully contribution to the work of the Board of Management. Bryan’s interests include walking and reading and he has a great interest in history. He is also a keen football fan and supporter of Aberdeen Football Club. Born in the East End of Glasgow, Shaun has held a number of jobs including biscuit packing, kitchen portering, cleaning and as a care worker. He is currently President of the Students’ Association at Glasgow Kelvin College and is one of many students keen to engage within the College. As a member of the Board of Management, Shaun is keen to provide students with the best level of educational engagement possible during their course of study and aims to create an environment of inclusion and acceptance. In his spare time, Shaun likes playing football and attending his favourite team’s matches. He also enjoys watching television and playing computer games. Shaun aims to create a Students’ Association which meets leaners’ needs to the full and continues to do so long after his tenure as President comes to an end. Born in Dundee, William has held a number of roles including Burger King (Management), Student at Perth College (Social Sciences), Student Vice President (UHI Perth College Student Association), Student at University of Abertay (BSc Behavioural Science). William has been elected to the role of Vice President of the Students Association at Glasgow Kelvin College and is studying currently on the HND Business programme. As a member of the Board of Management, he is keen that the skills he has developed and the experience he has gained will demonstrate his positive commitment to students. In his spare time, William devotes his time to his 20-month daughter, Anna Sophia. Living currently in Glasgow, he is very active and keen to help others in any way he can. Clark is from Clackmannanshire and has had a varied career background as an estate agent, purchase officer and in adult education as well as spending time as a student in between his employment. Clark currently works in adult education specialising in adult literacy and numeracy. He is also a member of the CLD Standards Council. He aims to ensure that the work of the Board continues to strengthen communities and individual’s knowledge, skills, confidence, organizational ability and resources. Clark is a member of the Board of Clackmannanshire Learners International and a committee member of the Wee Country Cancer Research UK Fundraising Group. He is also a volunteer with the Alloa Musical Players and editor and publisher of St Serf’s Parish Church weekly and quarterly journals. Born in Midlothian, Pam Currie graduated from the University of Paisley in 1998. Pam worked in administration and journalism before taking up a post as a lecturer at Stow College in 2001. Pam Currie currently holds the post of Lecturer in Social Sciences at Glasgow Kelvin College and, as a Board Member, Pam believes that the Board should ensure strategic leadership is based on sound educational rationale and in the best interests/aims of the staff and students at the College, including the wider community. In her role as a Board member, Pam wants to provide a staff voice and insight into the teaching role. In her spare time, Pam is a volunteer for the Scottish Industrial Railway Centre at Dunaskin, a volunteer heritage railway and social history project and is currently studying for a Maths degree. Pam is the EIS Branch Secretary at Glasgow Kelvin College and EIS-Fela Vice-President. She is also Vice-Chair of the STUC LGBT Workers Committee. Anne McTaggart was born and raised in a working class family in North Lanarkshire and has lived in Glasgow for over twenty five years. She left school at sixteen and began her career in office work and as a self-employed dance teacher before returning to College at the age of twenty two. Anne was then inspired to go on to University following which she took up roles in various local authorities and voluntary organisations. She found that Community Education was key and underpinned all her political and community work to date. Anne is currently a self-employed Community Consultant. She has connections with a wide range of networks, locally, nationally and internationally. As a Board Member, Anne aims to inspire others and show that College Education and Community Education are key and help change lives and communities for the better. In her spare time, Anne continues her interest in Community Work and Youth Work. Born in Glasgow, Joe Wilson began his career as a school teacher before taking on the role of Further Education Lecturer. During his career he also worked as a Section Leader, Head of Section and as a Project Manager SFEV. He managed a vocational portfolio for the SQA and became Head of New Ventures there before being appointed to the role of CEO at College Development Network. Joe Wilson is currently an independent education consultant working in the areas of vocational education systems, online learning and assessment. As a Board Member, he aims to ensure that the College focuses on learner needs in all it undertakes. In his spare time, Joe’s continues his interest in online learning through social media, he enjoys varied interests including rugby, football, scouting, playing the guitar, reading and online blogging. Born in Liverpool, Stephen Birrell gained an Arts Degree (Photography) and began his career in various voluntary sector settings in youth information work as well as organisations dealing with addiction and homelessness and with a focus on people and communities. Stephen’s recent career has involved working in the public sector on policy. He is currently a Programme Officer for a ‘Smart Cities’ ERDF Strategic Intervention. Stephen believes the Board of Management should provide an effective and positive governance function and an informed contribution to planned strategic development. He also believes that the Board of Management should seek to enhance the reputation of the Glasgow Kelvin College as a Centre of Excellence in Learning and Communities. In his spare time, Stephen enjoys arts and cultural activities. He is an active member of Dennistoun Community Council, a filmmaker and photographer and an aspiring writer. Born in Scone, Perthshire, John began his career in the recruitment industry and has worked in a variety of roles in Higher Education. He is currently Director of Continuous Improvement at the University of Strathclyde. As a member of the Board of Management, John aims to work with other members and the College’s senior management team to contribute to the ongoing success of Glasgow Kelvin College. John likes keeping fit, going to the gym and running. He also enjoys socialising with friends and is a keen supporter of St. Johnstone Football Club. Born in Glasgow and educated at Notre Dame High School, Deborah Thomson gained a BSc in Manufacturing Engineering with Accountancy at the University of Strathclyde. She joined BBC Scotland in 2006 where she currently works as Production Accountant. Her role at the BBC involves advising executive staff on cost reductions and savings plans, managing BBC drama and children’s programme budgets, developing financial strategy and undertaking financial analysis to inform decision making. 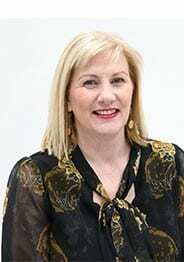 As a member of the Board of Management, Deborah’s aim is to provide support to the Principal and staff of the College to deliver the best education for its learners. She is particularly interested in the development of partnerships with business and apprenticeships and aims to assist with the facilitation of any future partnerships and opportunities. In her spare time, Deborah enjoys travel, outdoor pursuits and learning Spanish. She also undertakes outreach work and actively participates in STEM events particularly those for women in engineering. Deborah trekked the Great Wall of China in 2014 and Machu Picchu in Peru in 2015. She has completed the West Highland Way in 2016. Elaine’s aim is to work with other Board members and the College’s Senior Management Team to contribute to ongoing improvement in the learner journey at Glasgow Kelvin College. This will lead to more people successfully completing qualifications that open the door to the good jobs and life chances that they deserve. Elaine brings a passion for the best experience for every student, her own track record in this area, and knowledge of what is happening in the wider education sector. Elaine is very interested in diet and healthy eating and grows her own fruit and vegetables in her garden. She also buys lots of kitchen gadgets! Elaine’s four sons were educated in the Gaelic Units of Sir John Maxwell Primary and Hillpark Secondary schools. 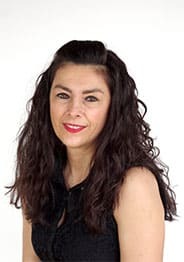 Born in Glasgow Eileen O’Neil began her educational journey here at Glasgow Kelvin College, formerly North Glasgow College, in 1998 as a mature student studying a two year access to learning programme. On successful completion Eileen was accepted into the BA in Risk at Glasgow Caledonian University, and is now studying towards her PhD whilst lecturing. As a co-opted member of the Board, (Audit and Risk Committee), Eileen aims to bring 20 years of risk management experience in to the academic environment, underpinned by change in the diversity of education and the speed and reach of technologies. Eileen is a keen hillwalker, cyclist and any activity which takes her outdoors. Douglas Wilson is the Clerk to the College’s Board of Management. His role is to provide independent support and advice to the Board on all aspects of the Board’s governance arrangements. His specialisms include corporate administration and governance, policy research, service planning and performance management. Brought up in Beith in Ayrshire, Douglas gained an MA (Hons) at Glasgow University in 1988 before taking up employment at the former Strathclyde Regional Council (SRC) from 1989 – 1996 where he undertook various roles including committee administration, policy research, elections support and community development. He subsequently obtained an MBA from Strathclyde University. At local government reorganisation in 1996 he worked at South Lanarkshire Council as administration manager and then as head of service being responsible for a range of corporate functions including all Council and committee governance, elected member support, elections, joint board governance, children’s panel administration and service planning and performance. Douglas was part of the Council’s leadership development team and also Depute Clerk and then Clerk to the Board of Strathclyde Fire Board which comprised 34 elected members across 12 local authorities. As well as being Clerk to the Board at Glasgow Kelvin College, Douglas manages a small children’s charity and is a lay member of Glasgow City Council’s fostering and adoption panel. Most of Douglas’s leisure time is spent with his young family but he also enjoys music, supports and follows Ayr United and plays the occasional game of golf. Code of Conduct for Board of Management members.